The Ford Rouge complex is so extensive that in some cases it is not practical to move components from one side of the site to the other using regular conveyor systems. Feeding the assembly line from a longer distance with pre-mounted wheels and tires was a special challenge. 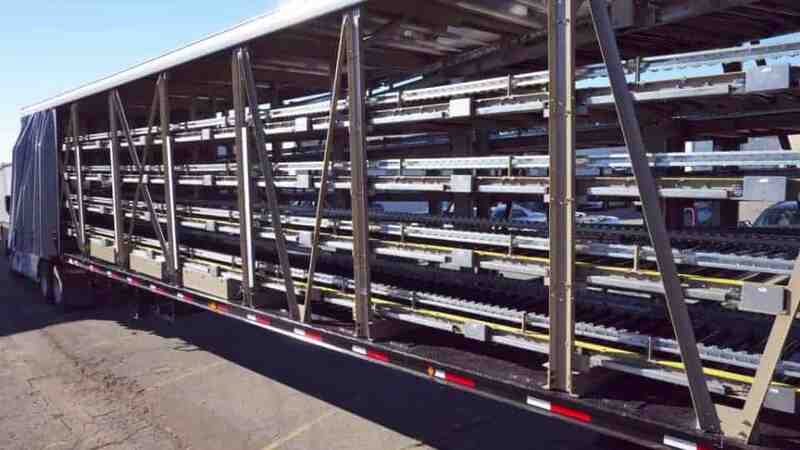 To overcome that issue, Ultimation’s engineers have designed what we believe to be the largest tire and wheel carrying trailers in the world. Each trailer is 60 feet long, 10 feet wide and 15′ high. 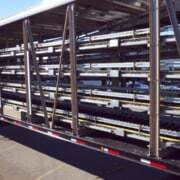 This enables each trailer to carry tires up to 40″ in overall diameter. The trailers are so large that when driven on external roads outside the site they require a special wide/tall load permit.